Paget's Last giorno - te Should See the Other Guy!. 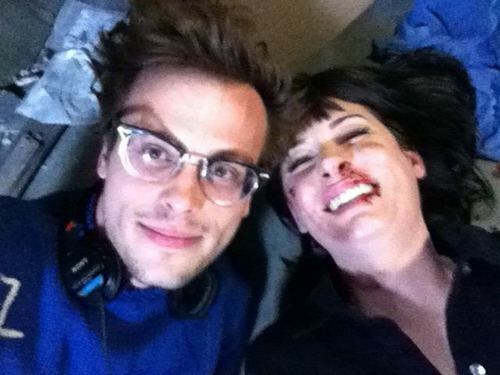 Paget and Gube on set Paget's last giorno season 6 criminal minds 2/14/11. Wallpaper and background images in the Paget Brewster club tagged: paget brewster criminal minds gubler. This Paget Brewster photo might contain ritratto, headshot, primo piano, and closeup. man, i'm sure going to miss her! no! no-ones going to miss her, because Emily isnt leaving, shes staying im telling you!